Spring Elections are on Tuesday, April 3rd and we need your help! Today I was proud to early vote for Judge Rebecca Dallet for Supreme Court! On April 3rd, it’s critical that we elect Judge Dallet to our state’s highest court. She has worked for more than 20 years in Wisconsin’s courtrooms as both a prosecutor and a judge in Milwaukee County. She has worked hard for decades to keep our communities safe, stand up for our rights, and put the people of Wisconsin first. 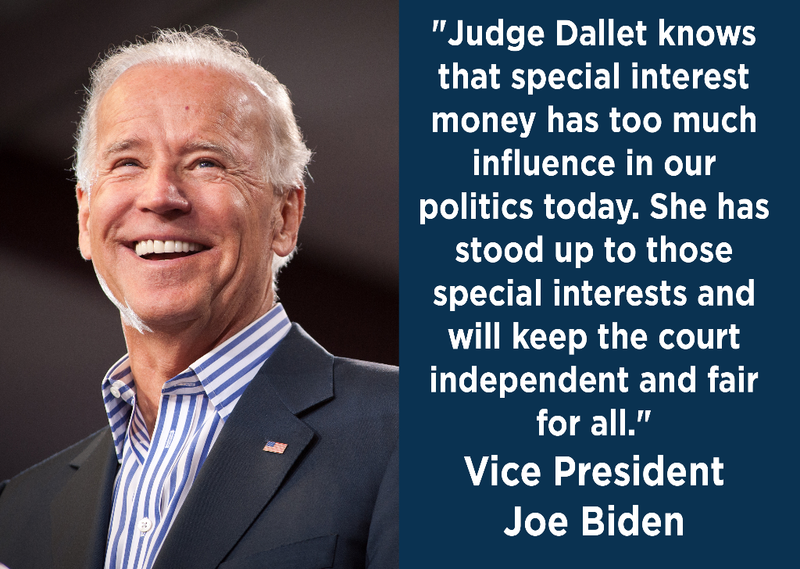 Dallet has also been an important voice in standing up to big money special interests that work for the wealthy and powerful and against the needs of Wisconsinites. That’s why we need Rebecca Dallet on the Supreme Court. 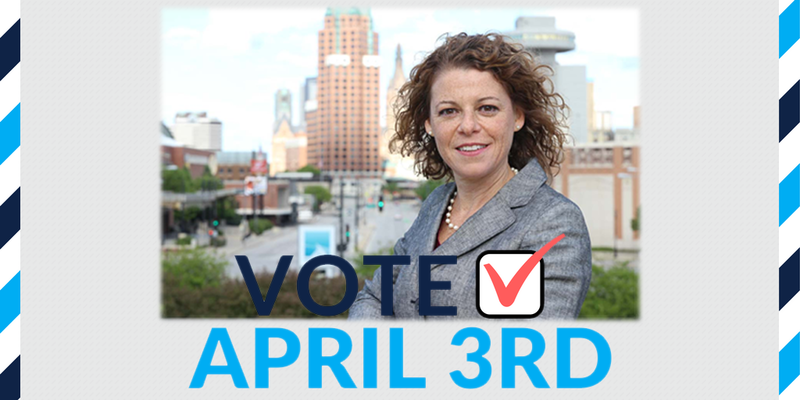 So on April 3rd, be sure to vote for Rebecca Dallet and tell all your friends and family to do so as well! As if there weren’t already enough reasons to vote for Rebecca Dallet, the NRA just spent more than $44,000 on direct mail promoting her opponent, Michael Screnock. Screnock is no stranger to massive special interest support. 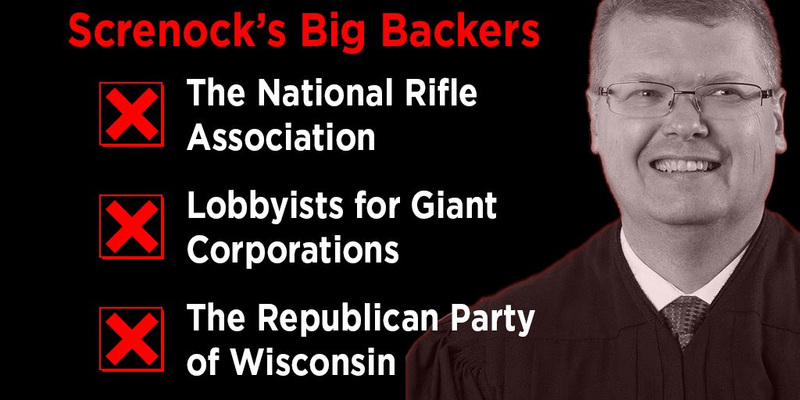 He has been endorsed by the NRA, Wisconsin’s largest corporate lobby has funded him to the tune of over $1.35 million dollars, and the Republican Party of Wisconsin has spent more than $290,000 on boosting Screnock. We must do everything we can to keep these anti-Wisconsin groups from sending their rubber-stamp, Michael Screnock, to the Supreme Court. While you’re out voting for Judge Rebecca Dallet, be sure to vote ‘NO’ on eliminating the State Treasurer. Both Republicans and Democrats agree that Wisconsin has to protect our fiscal watchdog. We need to make sure our values are represented on the Supreme Court! If you have any time to help out, we could really use your support! • Find a canvass near you here, and sign up to volunteer here! • You can also make phone calls from the comfort of your own home here! • For information on what to say about Judge Dallet, click here! 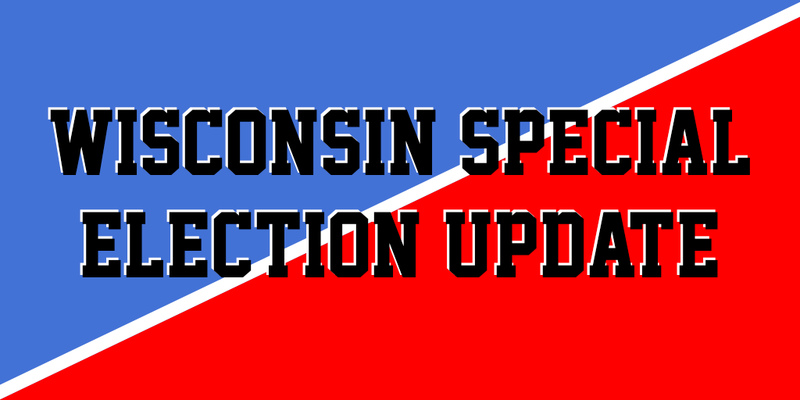 Scott Walker has been forced to call special elections for Senate District 1 and Assembly District 42 after being rebuked in his decision not to by three separate judges – one of whom Walker himself appointed. The fact is, Walker has been doing his best to avoid calling special elections because of how scared he is of losing them. 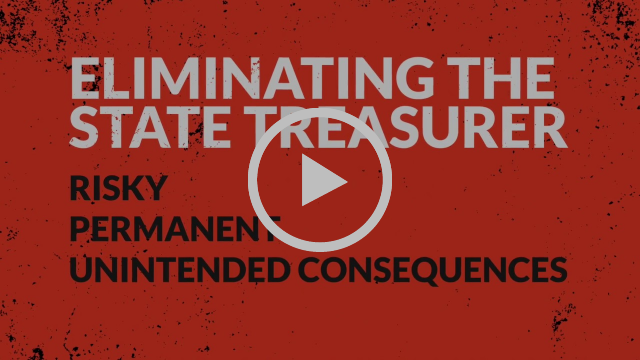 There is no better indication of just how toxic the Republican Party is than Walker’s absolute desperation to keep over 200,000 Wisconsinites away from the ballot box and unrepresented in the legislature. That’s because Wisconsin has seen the truth about Walker and his cronies in the legislature: they serve the wealthy special interests, not the people of Wisconsin. I’m thrilled that democracy won in the end, and that voters in SD 1 and AD 42 will finally have the representation they deserve. And you better believe that Democrats in those districts are going to be organizing hard to ensure that their representatives fight for an economy that works for everyone, strong public schools and health care for all! There is even more good news: two Democratic candidates have announced for these special elections! Caleb Frostman is running in Senate District 1. He’s a native of the area, works in economic development for Door County, and is an avid sportsman. You can visit his website by clicking here. Ann Groves Lloyd is running for Assembly District 42. She’s an alder in the city of Lodi and has worked as the Director of Career Services at UW-Madison. You can read the open letter she wrote to voters in her district by clicking here. 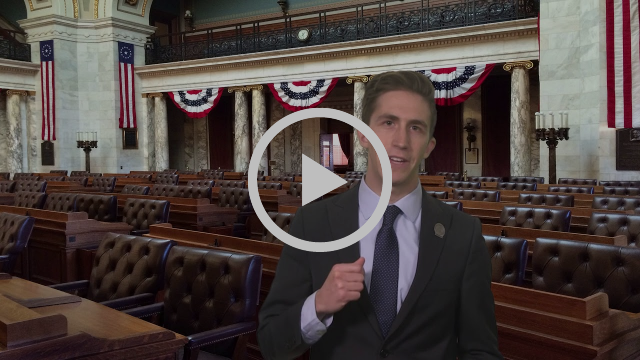 This week, Representative Riemer delivered the Democratic Radio Address on the subject of the Republican’s anti-democratic attack on special elections. 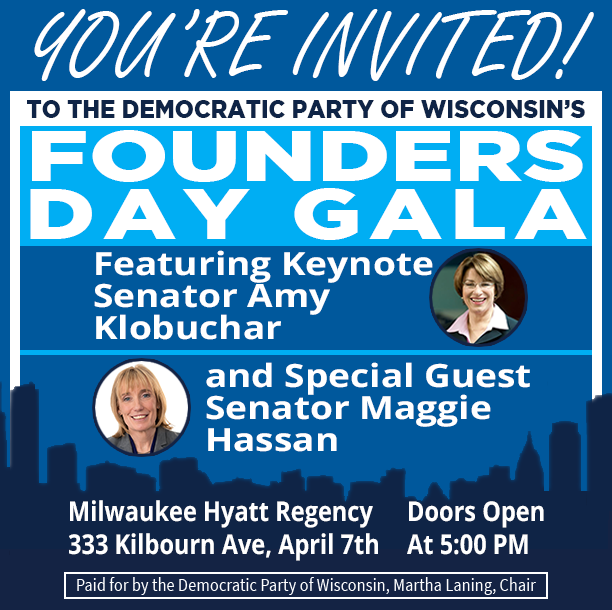 You’re invited to join the Democratic Party of Wisconsin for our Founders Day Gala! We’re thrilled to have Senator Amy Klobuchar as our keynote speaker and Maggie Hassan as our special guest speaker! It’s going to be a fantastic event full of good food and great Democrats! 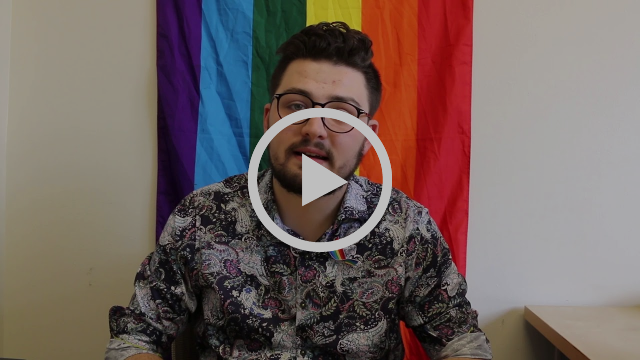 The City of Milwaukee Bans LGBT Conversion Therapy! Great news! The City of Milwaukee has banned the abhorrent practice of LGBT conversion therapy on minors under the age of 18. This is a fantastic victory for Milwaukee’s LGBT community, and I hope to see similar action taken across the rest of Wisconsin! 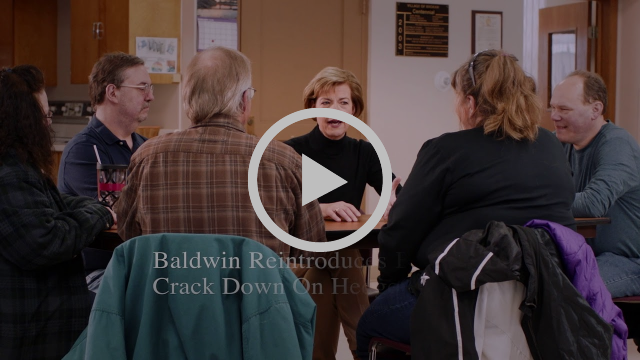 Watch Tammy’s newest ad on how she has been fighting for Wisconsin and against special interests. Out-of-state megadonors are spending more to defeat Tammy than any other Democratic Senator combined. They’re doing that because they know Tammy is going to work for the needs of Wisconsinites, instead of serving as a rubber stamp for big money special interests.